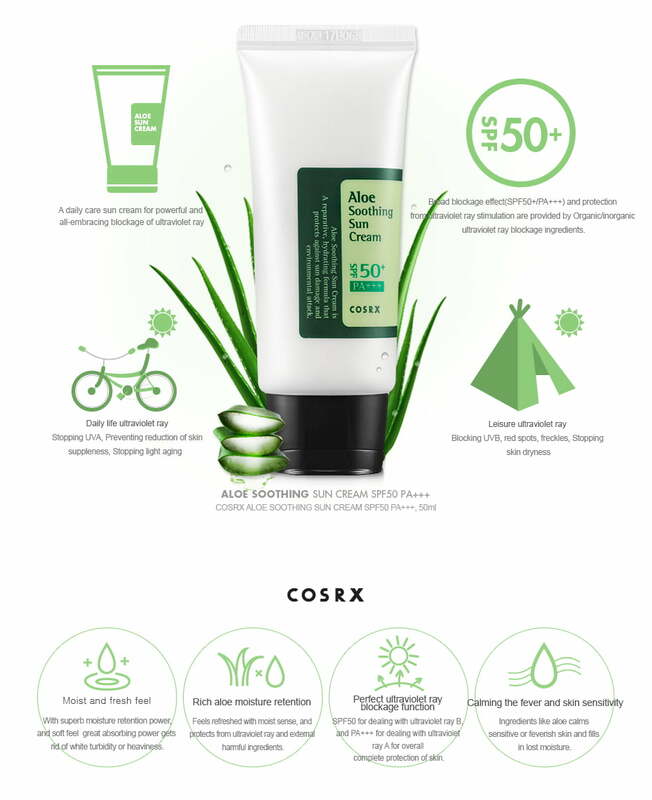 COSRX has recently launched a new product Aloe Soothing Sun Cream SPF50+ PA+++ which aim at protecting your skin from harmful UVA and UVB as well as moisturizes your dry skin. It has scientifically proven sun protection and natural ingredients that provides extra protection layers to the skin so you don’t have to worry when you are under the sun. It also hydrate your skin while protect from the daily sun light. Why do you need to get a higher SPF Sun Cream? SPF refers to the ability of a sunscreen to block ultraviolet B (UVB) rays, which cause sunburns. The UVA rays, on the other hands, are more closely linked to deeper skin damage. Both UVA and UVB contribute to the risk of skin cancer. Therefore, the more you’re exposed under the sun, the higher risk of skin cancer you will get. High SPF products may give better protection against long-term skin damage and exposure-related skin cancers. Most experts recommend using a water-resistant sunscreen, and to be applied liberally one half hour before going outdoors. Constant application is required. Too much UV exposure contribute to skin darkening, blemish, and pigmentations. Why Do You Need Aloe Vera based Soothing Sun Cream? This is because aloe vera has been used as great ingredient as skin hydration and moisturiser since 4,000 years ago. It was also Cleopatra’s favorite natural beauty care. Besides, aloe vera has been proven to have strong anti-aging effect as it creates powerful moisture layer on the skin while offering the deep soothing effect. 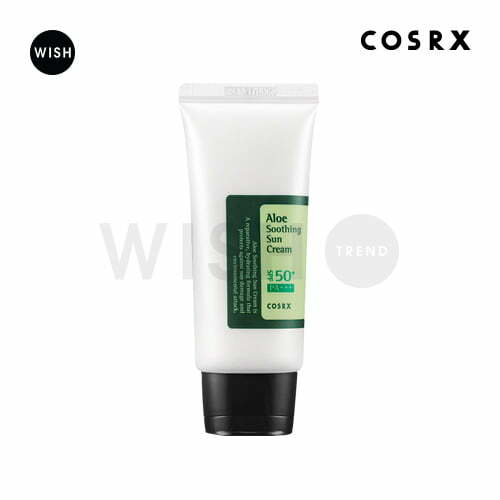 COSRX Aloe Soothing Sun Cream contains 5,500ppm of aloe vera leaf extract which protects your skin from harmful UV rays while preventing any further dehydration. Those who are looking for 2-in-1 cream – Sun protection, and Hydration.